“You who lighted Ewha, you who will light the world” reads the banner. 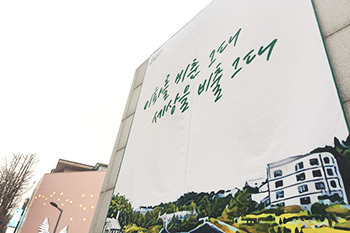 New Ewha Banner was hung on the forefront of Ewha campus to welcome the start of year. 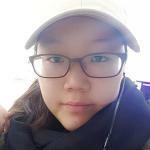 The banner was the work of Jung Ah-hyun, a sophomore majoring in Educational Technology. Jung won the grand prize with her banner in the 6th Promotion Idea Contest in the catchphrase and calligraphy section. Consequently, total 1,072 Ewha family members voted and many remarked that the catchphrase fully represented Ewha’s futuristic attitude towards the world.